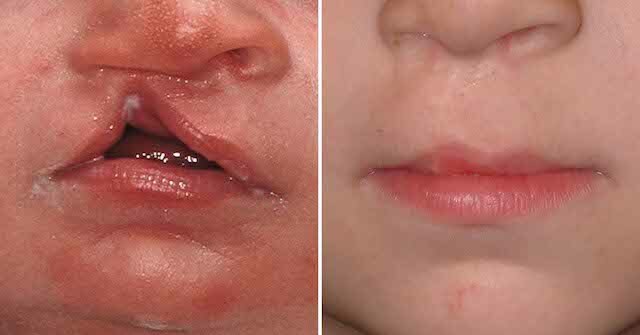 Background: Cleft lip and palate is a common and well known congenital deformity. It is typically perceived in its fullest presentation with a complete cleft through the lip, alveolus and palate. Even the nose is not usually perceived as part of the cleft, in the compete cleft the nose is also severely affected both internally and externally. From birth to full growth at age 18 the complete cleft lip and palate patient can have up to ten (10) different reconstructive operations. But lesser forms of orofacial clefts exists. One such variant is the unilateral incomplete cleft lip. In this presentation the palate is spared and the cleft only partially runs through one side of the upper lip. It may or may not create a minor cleft or notch in the alveolus. While the nose is not directly involved it typically will cause slumping of the alar cartilage with nostril deformity. To no surprise the incomplete cleft lip has one of the most favorable aesthetic outcomes. Such patients also undergo the least number of reconstructive surgeries, often with only one to two operations needed. Case Study: This 6 month-old infant male was born with a right incomplete cleft lip and alveolus deformity. Given that the palate was intact and there were no feeding difficulties repair was delayed until nine (9) months of age. Under general anesthesia a rotation-advancement type cleft lip repair was performed. While it may seem like an incomplete cleft lip repair would be easier to repair than a complete one, but this has not been my experience. It has to be done to the same extent as a complete cleft repair with full length incisions for both the medial rotational and lateral advancement lip elements. At five years of age his lip repair shows good alignment of the vermilion and fairly symmetric philtral length. The nostril is smaller with some lowering of the ala or nostril rim. There are no plans for any future surgery. That determination will await puberty and his perception of the cleft lip and nose as a teenager. 1) Cleft lip and palate comes in a wide variety of the extent of the deformity. 2) The incomplete cleft lip spares the palate and often only has a notch in the alveolus. 3) The incomplete cleft lip repair often has superior aesthetic results because the nose was never involved.